What’s the deal with mechanically separated chicken, anyway? Chicken is chicken, right? Since the 1960s, food manufacturers have been using “every part of the chicken” to make fast food and even kids’ foods for grocery store sale; it can’t be that bad, right? Wrong. You may remember in the first decade of the 2000s when McDonald’s came under fire for using mechanically processed chicken in nuggets. Since then, the substance has been studied and reported on extensively, and some governments have even banned the stuff. What’s so important about mechanically reclaimed meat, and should you eat it? 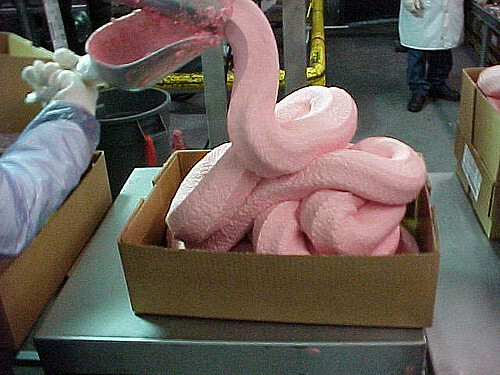 Mechanically separated chicken first became controversial when McDonald’s was accused of using the substance in their fast food. But it’s been around much longer than that. Every home chef knows that once you’re done carving a chicken, there’s plenty of meat left on the bone. Most of us throw the carcass away, or use the bones to make broth. But at the end of the 1950s, poultry processors found that there was a buck to be made from these leftovers. Hand tools were used to separate the meat from the bones, and in the 1960s machinery became more efficient. “Food” which had once been wasted could now be sold, cheap, to consumers. Of course, there’s nothing appealing about chicken “shards,” and no practical consumer purpose. So processors developed a new system. Unstripped chicken bones were forced through machines at high pressure, which removed the remaining edible meat. Along with that meat, tendons and muscle tissues from the bones are piled into the mix. That mixture is then ground, tendons and all, and formed into a paste. The paste that results from stripping chicken bones with a machine is called mechanically separated chicken. It’s used in a lot of foods we eat today, and there’s still a bit of controversy surrounding it. In the early 2000s, many studies were conducted, and as a result mechanically reclaimed meat (MRM) was restricted by the UK’s Food Standards Agency in 2012. The United States still allows a limited amount of MRM to be used in processed foods, and other global regions have imposed limitations as well. So what’s so bad about MRM? Is mechanically separated chicken harmful? Let’s see what the studies say. Is Mechanically Separated Chicken Used in all Chicken Nuggets? There’s something comforting about a restaurant’s open kitchen. You’ll see your food as it’s prepared, and have the further assurance that no one sneezed into your salad. Conversely, there’s something disconcerting about processed foods, and meats in particular. First of all, it just looks gross. If you’ve seen the videos that circulated depicting McDonald’s “pink slime,” you’ll understand. The stuff oozes out of the processor like lava from a lava lamp, dumped onto a conveyor belt, then formed into all manner of shapes. But, more importantly, studies indicate that the gooey stuff may not be healthy for human consumption. The risk of microbial growth increases when meat is mechanically processed. You can read that to mean that salmonella is a risk. Now, let’s talk about ammonia. Rumors circulated that mechanically reclaimed meat is soaked in ammonia before processing. That’s not true; ammonium hydroxide is used in the process, but in levels which are not considered to be harmful for consumption. However, the low levels of ammonia used aren’t quite enough to kill the bacteria. It’s a chicken catch-22; would you rather have the ammonia or the salmonella in your system? So, what about chicken nuggets? Is mechanically separated chicken used in all chicken nuggets? Well, product packaging laws allow you to see that for yourself. The chicken nuggets you buy in grocery stores are required to be labelled if they contain MRM. And if it’s fast food you’re concerned about, you can rest assured: most reputable fast food chains do not use mechanically reclaimed meat. McDonald’s, Burger King and Taco Bell are just a few of the restaurants who value their reputation over the cost savings of MRM. 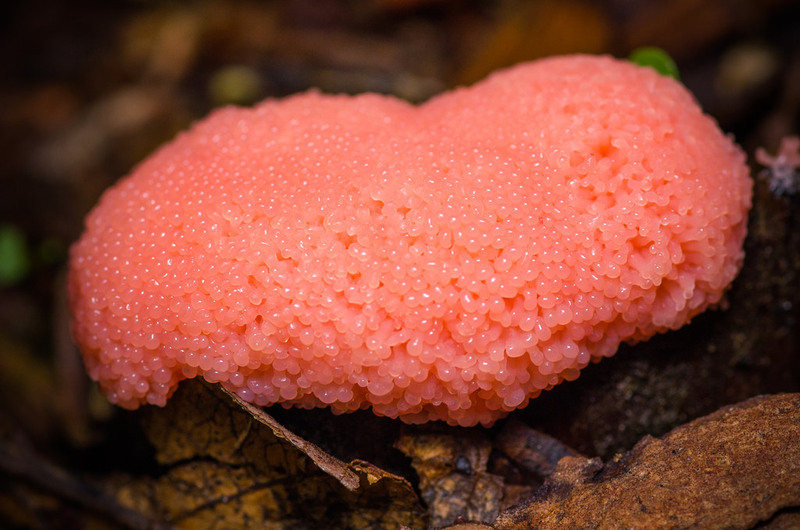 However, that’s not pink slime. As gross as whatever substance was in that picture, pink slime actually refers to something different. 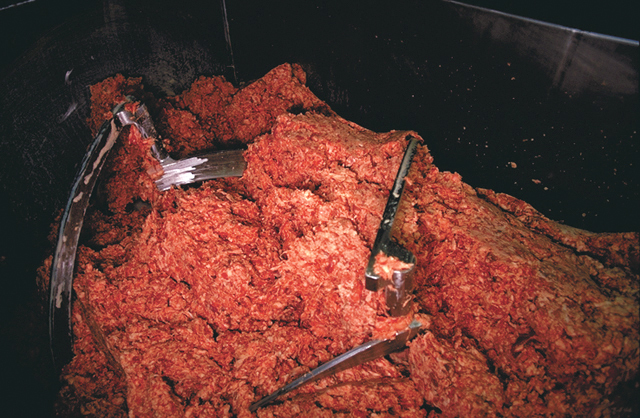 Pink slime refers to boneless lean beef trimmings (BLBT), an additive used to fill ground beef products. BLBT carries risks of its own, and is banned in both Canada and the European Union. It’s approved for limited human consumption in the United States. BLBT is made using a similar process to mechanically processed chicken, but carries higher risks including mad cow disease, e. Coli and salmonella. If you’re in the EU or in Canada, you don’t have to worry about pink slime. It’s been banned from all human consumption, and has been for almost a decade. If you’re in another, less progressive part of the world like the United States, you’ll have to read your label packaging. Hot dogs, beef jerky, lunch meats and, of course, sausage are just a few items on a long list of products which use MRM and pink slime. Most meats can go through the mechanical separation process. More expensive cuts of meat, like veal and lamb, are typically sold on the bone, and are less likely to undergo the process. But be sure to check your food before you buy it. Mechanical separation is used for chicken, turkey, pork and beef quite commonly in many countries. Do I Have Mechanically Separated Chicken in My Cupboard? You probably have mechanically separated chicken in your cupboard. You’ve probably got pink slime in your pantry, too, if you live in the United States. There are a lot of companies which still prefer to sell “cheap” chicken and beef than natural products, and those names are brands you may not expect. That is by no means an extensive list, but the fact that these common brands contain processed meat should serve as a reminder: check your product labelling! You’ll also note that there are many kids’ foods on the list. The easiest way to purchase packaged foods which don’t include mechanically reclaimed chicken is to just find the “organic” label. However, organic food can be pricey, sometimes costing more than twice their non-organic counterparts. There are a few alternatives. First, buy your meat on the bone. You’re guaranteed to avoid MRM by doing so. Secondly, look for “natural” products in the frozen food section. You will still need to check labelling, but you’re less likely to encounter pink slime or MLM. Alternatively, you home chefs may be interested in grinding your own meat. There are very inexpensive products which will allow you to do this. You likely already have a Kitchen Aid mixer at home; why not buy the meat grinder attachment? Not all fast food restaurants use pink slime and mechanically reclaimed meat. But the paste is still sold in stores, so be mindful of product packaging before you buy, and buy fresh to always know what’s in your food.